Answering the call to “eat a great meal and support a great school,” over 150 people flocked to Roundz Gourmet Market for a dining out night Monday to benefit Crofton Elementary School. 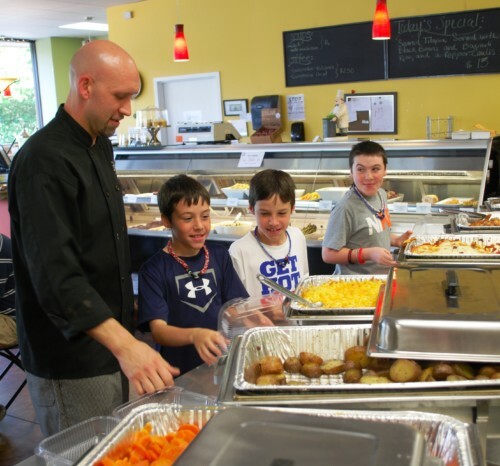 Chef Zachary Pope, owner of Roundz and Crofton Elementary parent, offered a special buffet menu and donated ten percent of the proceeds to the school. Crofton Elementary PTA vice president Lisa Hogan believes this type of event is win-win for the school and community.